The best times to lay turf are between March-May and September-November. In winter the frozen ground can seriously slow down or even stop the process of establishing new turf, whereas in high summer hot temperatures can make it difficult to keep new turf moist, which is very important at the early stages. 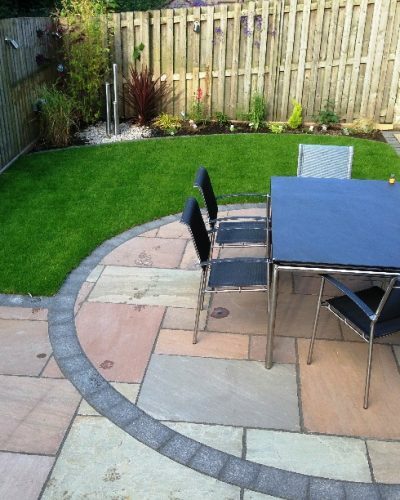 Having turf laid in early spring will also allow you to enjoy your lawn even before the Summer season. If you are planning to lay the turf yourself, you should find the following information very useful. If you are going to hire someone else to do it, this article will help you to judge if they are doing a good job. Some people underestimate the importance of ground preparation which seriously affects the quality of lawn and the amount of time new turf needs to establish. Have your turf laid within 24 hours of delivery. Remember to keep the lawn watered everyday for 2 to 4 weeks. Do not walk on it for 3 to 4 weeks. Give it a first trim after 4 to 6 weeks. Mow it and feed it regularly. It is very important to get rid of any weeds when preparing the ground as it will be much harder to do later. You should also clear the site from any stones and debris. New turf will need about 10cm (4”) to 15cm (6”) of good soil, but obviously the deeper the better. It is also important to dig over or rotovate the soil to improve the drainage. Depending on the quality of the soil in your garden, it might be a good idea to use a layer of root-zone topsoil. Applying a pre-turfing fertiliser is not always necessary but will help. When laying turf use planks to walk along and work from. Start laying the rolls from one corner in the brick fashion and never stretch them. Once the turf is down remember to keep it moist every day until it has established, for about two to four weeks. Also try not to walk on it for at least three to four weeks. 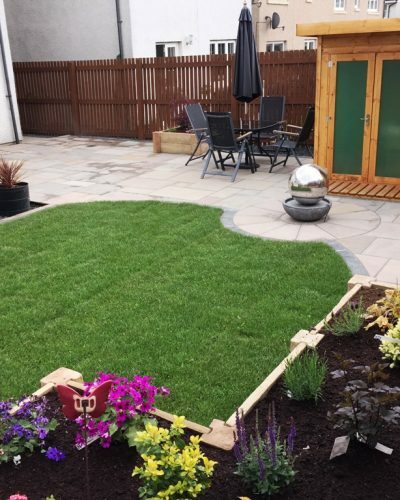 Your new lawn can get the first light trim when you notice it really starting to grow and it is well rooted, and then whenever it needs a cut, but never shorter than 25mm (1”).